it’s a long time from last blog post… so what’s going on? We are still moving on with new game(s) but it’s still NOT the right time to tell everything. Oh, btw don’t forget that THE BODY CHANGER is on #SALE on those days so open your wallet! 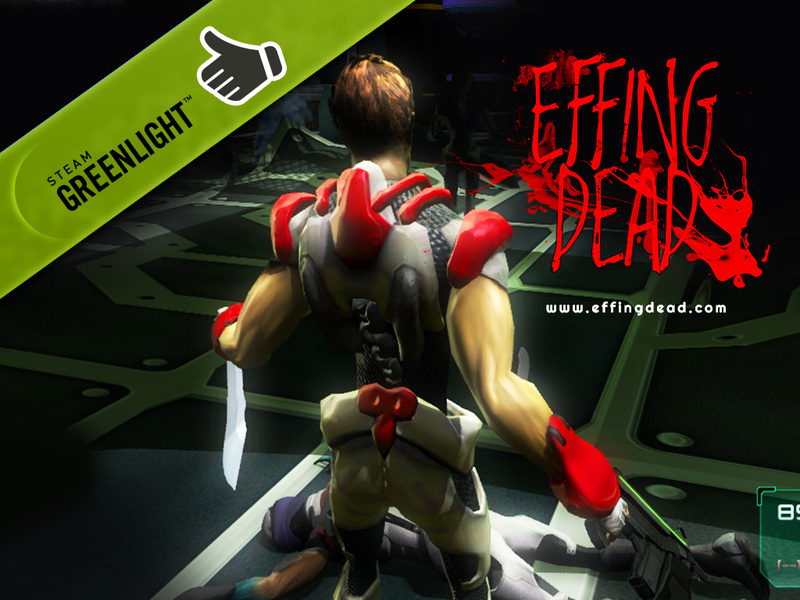 Categories: Effing Dead, Games, Work in progress | Tags: action, entertainment, gaming, indie, news, scifi, space, videogames | Permalink. The time is right to reveal the New Game Title – here it is: The Body Changer is our new game that, like a phoenix, was born from Effing Dead. But why the name change? 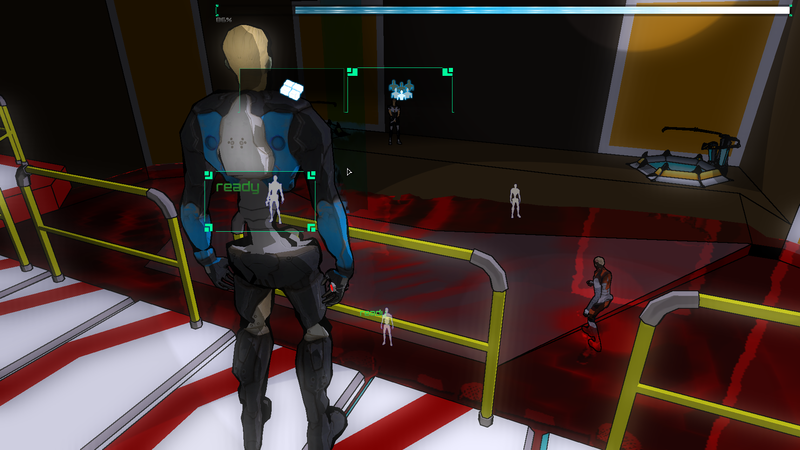 It’s still on space, still action, still adventure but with a new mechanic that alter the gameplay style. After we started with the gfx restyle we discussed a lot about new ideas that we decided to introduce – a lot of new ideas and concepts. So many that, at some point, we thought this game isn’t really Effing Dead. Right now we have done a lot and the game is fully playable in its first part. We are now on making things more clear for the player and on fixing stuff here and there. Soon we will announce next step for The Body Changer and how you can try it on your pc. Btw, to be clear Effing Dead is not dead… the current version is now called EFFING DEAD – THE BROKEN PATH and we have plans to “close” the current beta as it is. For the future… who knows. The effort to make Effing Dead gfx with the “realistic style” was too much for only two guys, but we are still very proud of it so eventually we will end it in some ways. We really like what we made, it was simply too much for now. Tks for reading and please spread the word. Btw -you can visit also our IndieDB page if you like and support us also there. Categories: Effing Dead, Games, The Body Changer, Work in progress | Permalink. 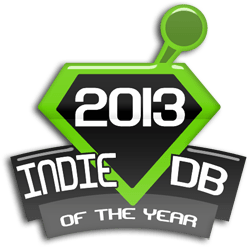 IndieDb of the year 2013 – vote! Categories: Effing Dead, Games, Work in progress | Tags: beta, effing dead, entertainment, fans, horror, indiegames, news, press, support, survival, survival horror, work in progress | Permalink. Those are the current updates that change the shape of EFFING DEAD. As you can imagine and see it’s a radical direction change that needs also an update of the game name. So, no more EFFING DEAD but a new one that is not (completely) defined right now – please wait for the next post. For more info about our games please come back soon, we are preparing the next post with all the info about it. Categories: Effing Dead, Games, Work in progress | Tags: action, beta, effing dead, games, gaming, indie game, news, puzzles, survival, survival horror, ThehprtAndTheTall, work in progress | Permalink. Well, well, well… do you remember the ragdoll video? 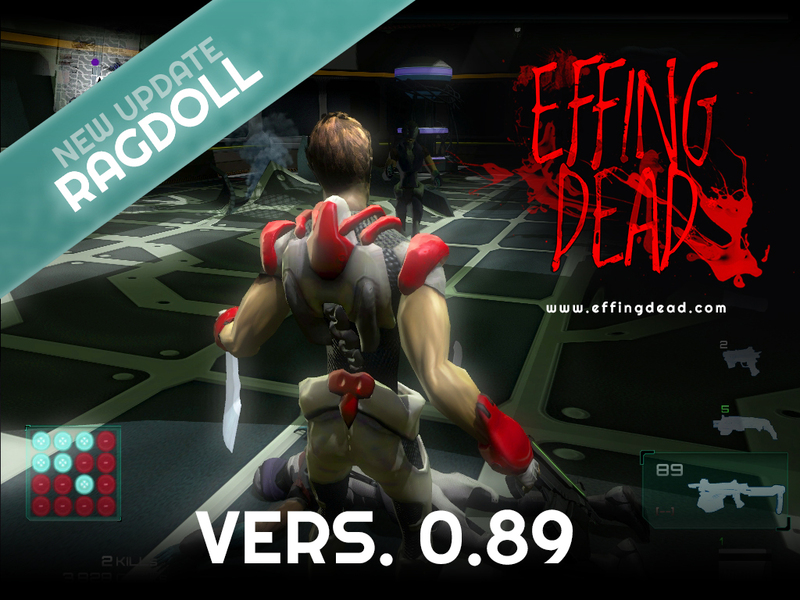 We decide, before releasing the BIG update, to give to you EFFING DEAD v.0.8.9 – the ragdoll version. We thought that it’s a good idea to let people play with this version because the ragdoll gives really a plus on the animation and it’s funny to see enemies fly away when hit. So, here is it, go and play and spread the word, please. Categories: Effing Dead, Work in progress | Tags: action, beta, effing dead, horror, indie, indie game, ragdoll, space, survival, work in progress, zombies | Permalink.